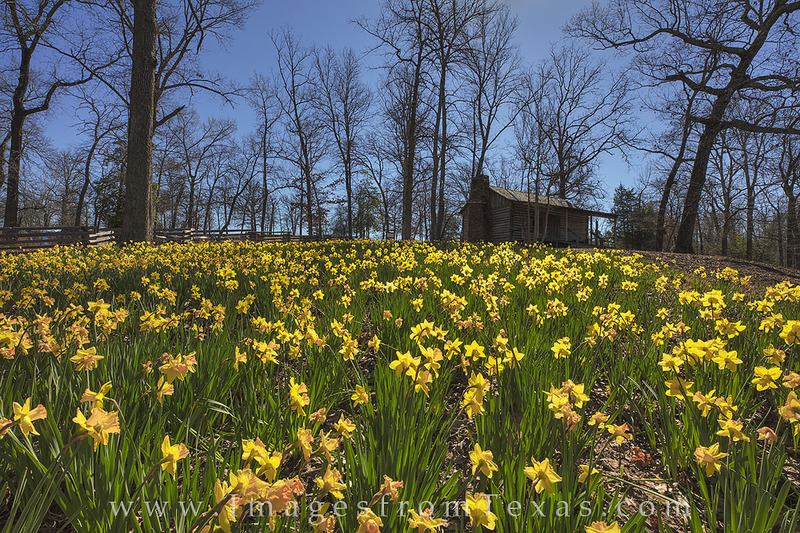 Near Gladewater in east Texas, daffodils spring up in mid February around an old cabin. This perfect cool winter day presented a great opportunity to view these early season Texas wildflowers as they reached for the afternoon sun. Photo © copyright by Rob Greebon.